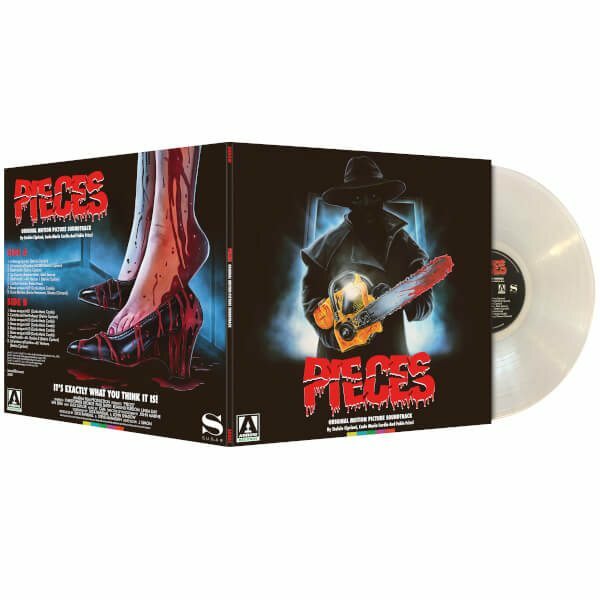 To celebrate the creation of Arrow Music, Arrow Video is releasing this special edition of the cult classic PIECES soundtrack, Juan Piquer Simón’s gore-drenched slasher from 1982. 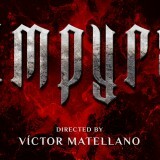 This classic horror score boasts a compelling selection of nerve-jangling themes drawn from the legendary CAM library, with compositions by Fabio Frizzi (Zombi 2, The Beyond), Stelvio Cipriani (Nightmare City), and Carlo Maria Cordio (Absurd). 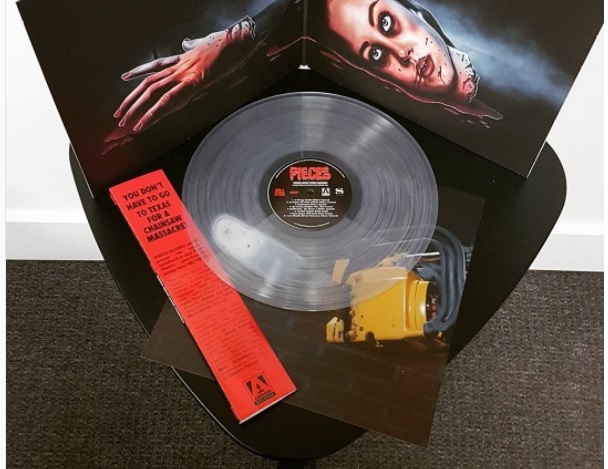 This limited clear vinyl edition of the Pieces soundtrack has been newly-mastered from the original 1/4″ analogue tapes by James Plotkin and is presented on 180 gram wax, housed inside a 350gsm sleeve. The edition features newly commissioned artwork by Marc Schoenbach and accompanying film notes by Stephen Thrower.